Left Bank Pictures apologized on Tuesday for the inexcusable gender pay gap between the show’s stars, Claire Foy and Matt Smith, per THR. 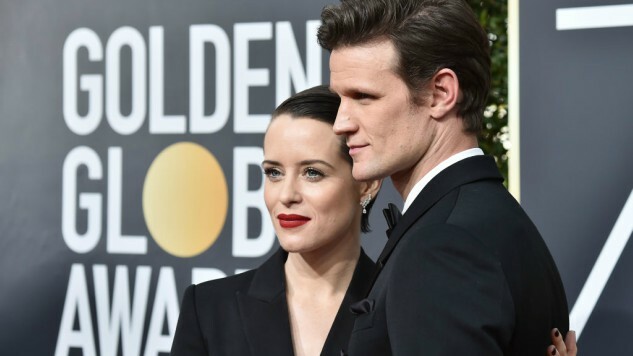 The production company behind The Crown said in a statement, “We want to apologize to both Claire Foy and to Matt Smith, brilliant actors and friends, who have found themselves at the center of a media storm this week through no fault of their own. Claire and Matt are incredibly gifted actors who, along with the wider cast on The Crown, have worked tirelessly to bring our characters to life with compassion and integrity.” It was reported at a conference earlier this month that Smith was earning more per episode than the show’s star, Foy, who plays protagonist Queen Elizabeth II. Smith plays Prince Phillip, yet despite Smith having a more established resumé at the time of his casting, is it really fair for him to be paid more than the actual star of the show? Foy has also won the Netflix original series an Emmy, SAG Award and a Golden Globe for her performance. Left Bank continued on to say, “As the producers of The Crown, we at Left Bank Pictures are responsible for budgets and salaries; the actors are not aware of who gets what and cannot be held personally responsible for the pay of their colleagues.” As true as that may be, there is still a petition going around requesting that Smith donate his salary. The petition is calling for Netflix CEO Reed Hastings, Netflix and Smith to donate the difference in salary to the Time’s Up Legal Defense Fund, just like Mark Wahlberg did after earning much more than his co-star Michelle Williams for reshoots on All the Money in the World. We understand and appreciate the conversation which is rightly being played out across society and we are absolutely united with the fight for fair pay, free of gender bias, and for a rebalancing of the industry’s treatment of women, both those in front of the camera and for those behind the scenes. We all have a responsibility to do what we can to ensure that these issues are tackled, and as a leading production company we want to make our contribution to the debate. As company policy we are engaged in conversations with ERA 50:50 and going forward are keen to talk to Time’s Up UK, organizations which are working to ensure all women have a voice. Suzanne Mackie, Left Bank’s creative director, said at the IN-TV conference in Jerusalem, “Going forward, no one gets paid more than the Queen.” While this may be great, it’s also too little, too late, to Foy’s detriment. The show’s next seasons will feature an older cast playing the same parts, since the series plans to jump ahead decades in time. Hopefully, we see Olivia Colman and Helena Bonham Carter receiving equal pay to their male costars for seasons three and four.